This past Saturday (3/30) was the fourth training week. Runners from a variety of NJ towns arrived at The Corners Cafe and Bistro in Long Branch’s Centennial Drive before 7 am when most of the stores and shops were still closed. Otto Lam,the lead organizer greeted the runners and provided instructions in the cafe. Shortly after the group picture, the runners were sent to start in group. The course is well planned and strategically marked with lawn signs so the runners can stay on course even without any pacer. Along the course the runners were impressed by the pre-placed coolers filled with chilled water and Gatorade, out of the organizers' own pocket. The generous hospitality was topped by plenty of sunshine, mild but not harsh ocean breeze, a comfortable mid-40 degree, and endless view of the shoreline towards the end of the course, gave all the runners the greatest pleasure and gratitude. 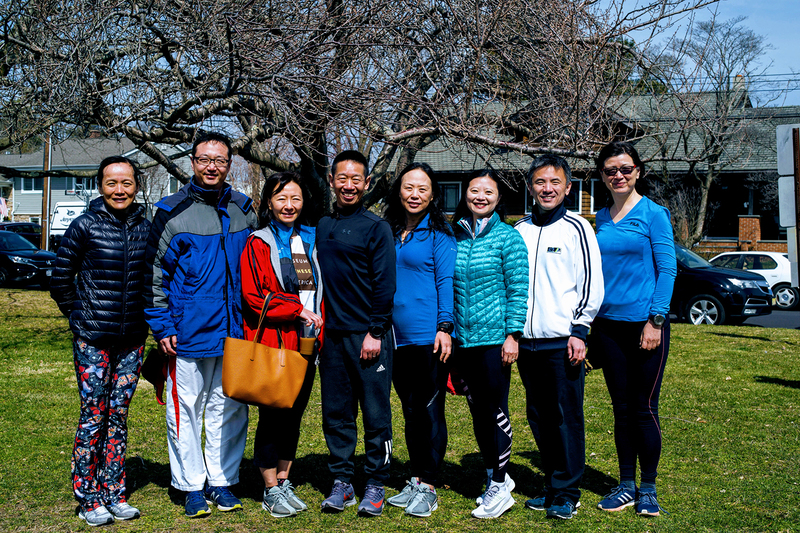 After the practice run, a local running club WERun (West-East Run) invited all Chinese runners to a Franklin Lake Park for a post-run picnic and refueling. 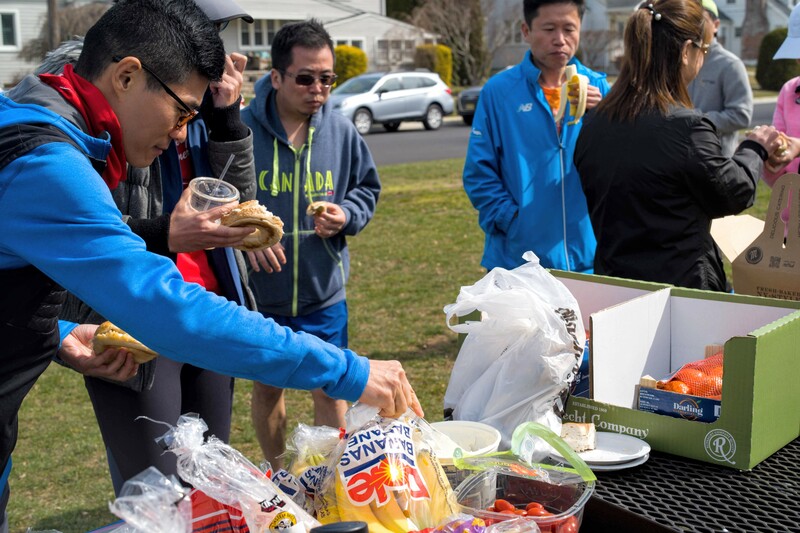 Bagels, fruits, drinks, and egg-based protein were prepared for the accomplished runners. 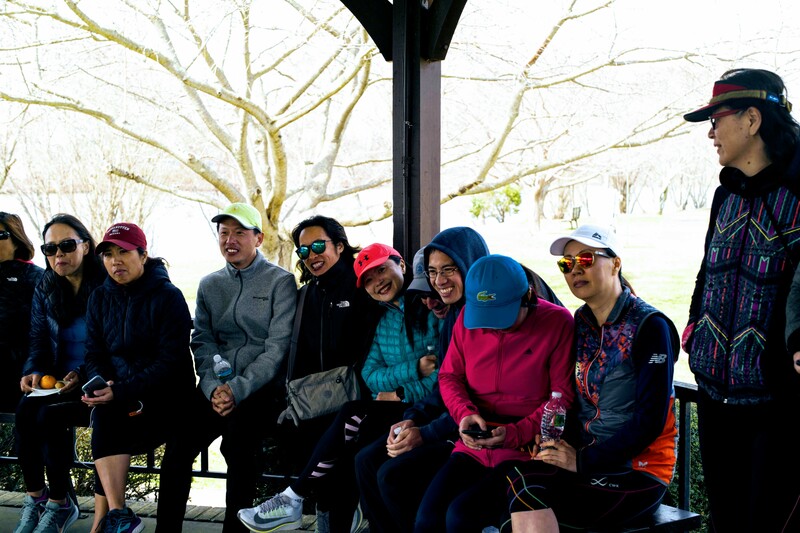 The runners from various running clubs have been well acquainted virtually on the popular social media called WeChat, but meeting each other face to face after a group run had brought us even closer. 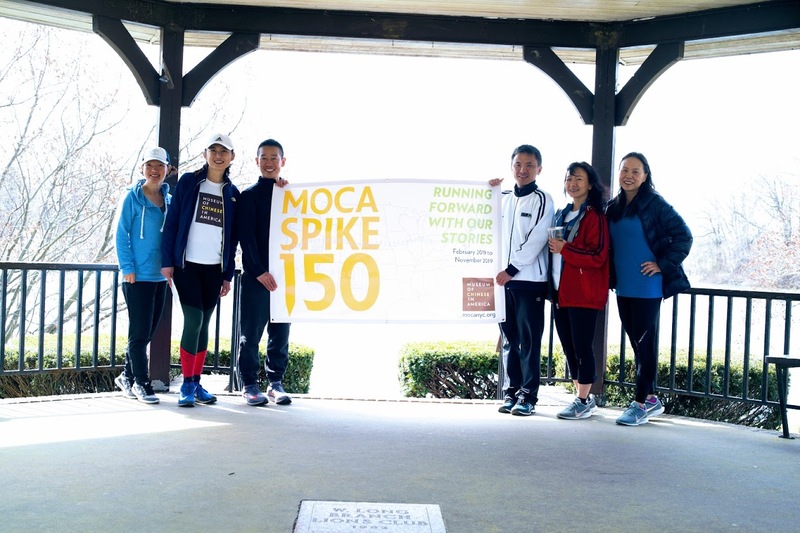 To add more meaning to our miles, at the picnic site, Renny Shih, the Co-captain of MOCA Spike 150, introduced the staff members (also fellow runners) Yue Ma, the director of Collection department from MOCA to the group and unveiled the detail about MOCA Spike 150 campaign. In 2019, MOCA celebrates the 150th anniversary of the historic moment when a golden spike was driven into the ground at Promontory Summit, Utah to mark the completion of the Transcontinental Railroad. 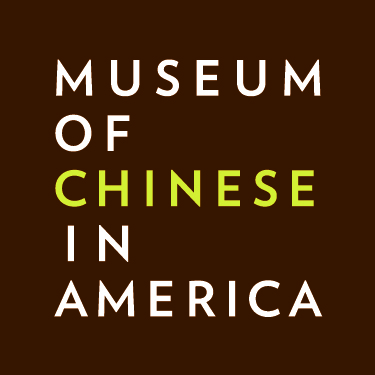 To honor the thousands of Chinese railroad workers whose contributions have largely gone unnoticed, MOCA is launching a year-long initiative to commemorate and tell the history of Chinese people in the United States over the past 150 years. 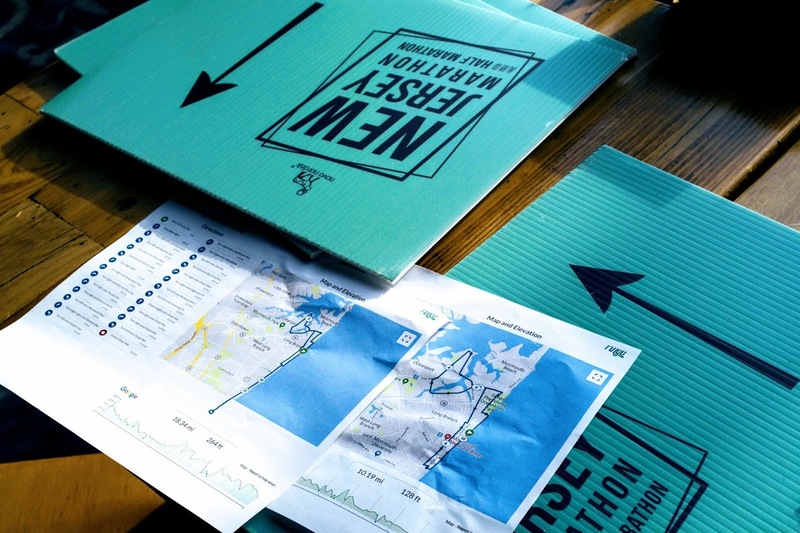 “MOCA Spike 150 - Running Forward With Our Stories” will rally 1500+ runners across the country to collectively run 15,000+ miles, telling 150+ stories and organizing 15+ special events in the process. The event will culminate in the TCS NYC Marathon on November3, 2019. MOCA welcomes you to join us in this unprecedented initiative, and welcomes runners to follow in the footsteps of this country’s first pioneers and make history. Renny and Yue explained all the details how runners can participate and show the support to help with this meaningful good cause. Thanks all the runners attended the events today and showed the support to MOCA. We also truly appreciate the support from WERun to host such a great picnic and had all the runners get together and had a great time!